And an update to make your holidays brand new! Happy Winter Holiday! It's Hawkheart, one of Toontown's Toon Troopers here. After last year’s fantastic job, the Toon Council was practically begging me to come back for Christmas decorations. Granted, they'd take anything to prevent Sir Max from having access to that kind of voltage. I had to oblige -- decorating at Christmas is my calling, right next to being the Fish Bingo Operator. Frankly though, a certain friend of mine has always felt the need to crash the party. Away to the supply closet I went with a crash, yet all of my supplies were gone in a flash! Apparently Sir Max’s interior decor is more important than the rest of Toontown. I have to admit though, it sure is joyful and triumphant. How does he even fit that many lights into a single room? Luckily, I spent all of last night creating exact replicas of the old lights! Believe me, you won’t even be able to tell the difference. 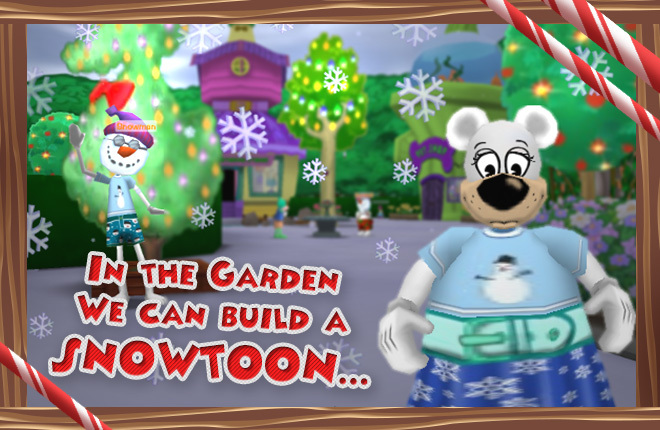 Just in time, every square inch of Toontown has been decorated for the Christmas season again! After all of that work, I think it’s time to settle down for a long winter's nap. Who knows, maybe I’ll wake up before Christmas this year. We've got a lot more in store for this Winter Holiday, but of course we can't get started without decorations. Check back tomorrow to see what comes next for the Twelve Days of Winter, and make sure to enjoy the lights around town! Awesome, I'm excited for what's more to come! YAY! I've been waiting since December 1st for the decorations. Can't wait to see the rest of the surprises you guys have in store for us! 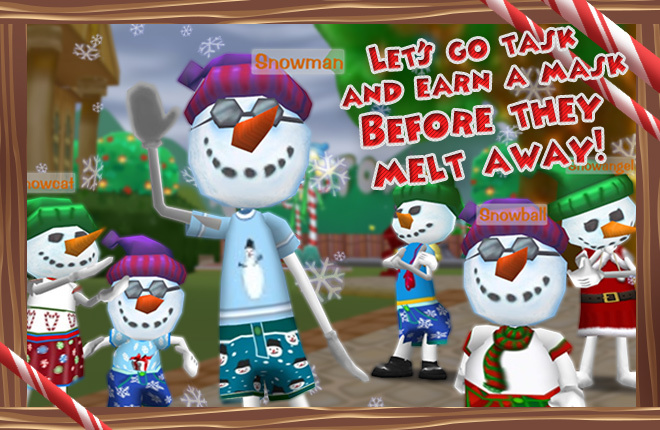 This is awesome, thanks TTR team! I can't wait to check in each day! Hooray! Can't wait for what else is in store! Happy Holidays! 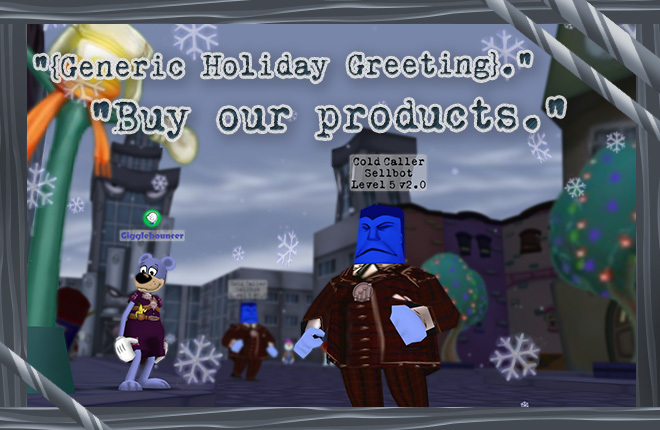 I wish you all good fun this season; don't let the winter weather nor the cogs get to you! this Christmas is certainly gonna be an interesting one and my eyes are seeing the estate at night? hmm well if there's a day/night system for the estates then I'm all for it. as a wizard you need to sleep. that blasted sun keeps like to keep my house HOT and making my doodle dry as a bone. thankfully I have a spell that can keep myself and my doodle cozy. Can't wait to see what else comes! The lights look gorgeous. Thanks, Hawkheart. Is your name a reference to Warrior Cats? Love it. Love the festivity! Really appreciate all the work you put into recreating the decorations! Oh my Celestia that's so PAWSOME! I am Loving all the lights around town!!!! Thank you so much :) !!!! I love the decorations. Thank you! cool yay! See I played toontown since the original toontown. I have been playing toontown rewritten for three years now and I have to say that toontown Rewritten did an amazing job. They have and are working so hard and I love toontown! Good job TTR! Merry Christmas everyone! 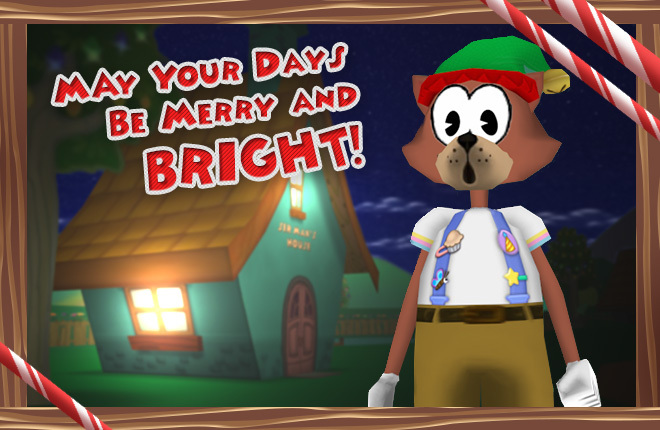 I wish everyone a toontastic Christmas and a New Year! 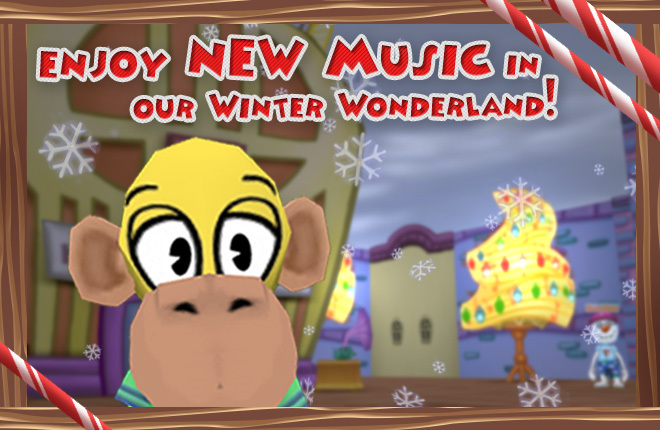 The Weather Is Frightful, but New Music Is Delightful!